Our portfolio of brands is formidable and our developers are the best in the business. With long-term partnerships that span from coast to coast, our brands don’t just represent the regional landscape, they define it. Of the hundreds of brands SSP America operates, almost all of them are single, one time brands that will have no other locations. If you are a brand owner, considering a partnership with SSP America, we understand how hard you’ve worked to develop an award-winning restaurant. And, now you’re considering bringing that restaurant to the airport. But, you need a partner you can trust—a partner who is not a cookie cutter operator. We list just a few of the hundreds of brands we operate below as examples of the brands we love and the partnerships we’ve forged. SSP America is the proven partner to authentic, cool brands. Chef Massimo Capra is one of the brightest stars in Toronto’s culinary sky—known throughout Canada for his successful restaurants, books and television appearances. YYZ’s Boccone Trattoria Veloce is as energetic as the masterful chef—designed with warm wood and accented with whimsical, culinary graphics and sleek red seating. The menu brings Chef Capra’s personality to life with rustic, freshly prepared authentic Italian fare. From pasta courses of Tagliatelle with Meat Ragu to main course choices of Breaded Veal Cutlets with Arugula and Parmigiana Salad—all of the dishes are steeped in the culinary heritage of Italy. Matt’s Big Breakfast is a titan of the Phoenix casual dining scene, attracting a tribe of faithful patrons. One of the many units SSP America manages and operates at PHX, Matt’s serves almost 6,000 passengers weekly. In-house, the home fries are hand-cut, the citrus is freshly squeezed and the burgers are hand patted, and then griddled in pure local butter. 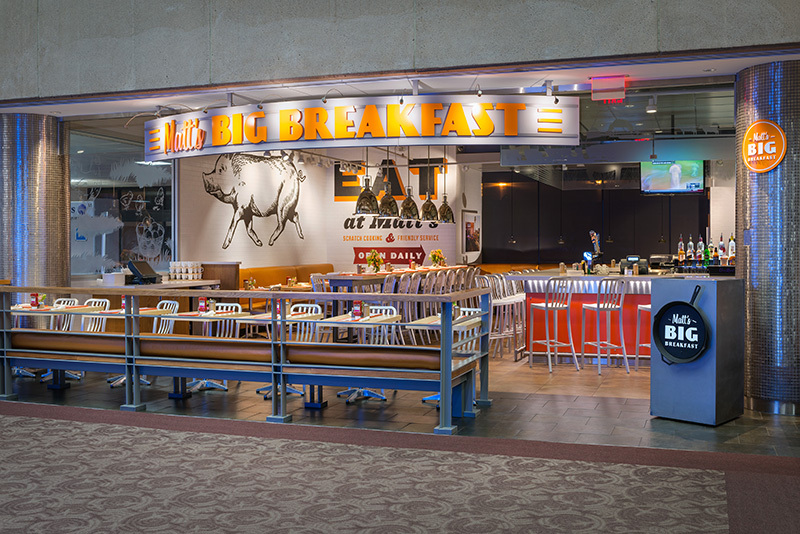 Matt’s isn’t just a restaurant—it’s an endeared member of the local community and a welcome sight to travelers at PHX. Accolades: The New York Times; Food Network’s The Best Thing I Ever Ate and Diners, Drive-Ins and Dives; ARN’s award for Best Chef-Driven, Local or Regional Restaurant. 1300 on Fillmore is at home in San Francisco—a city globally renowned for its restaurant scene. 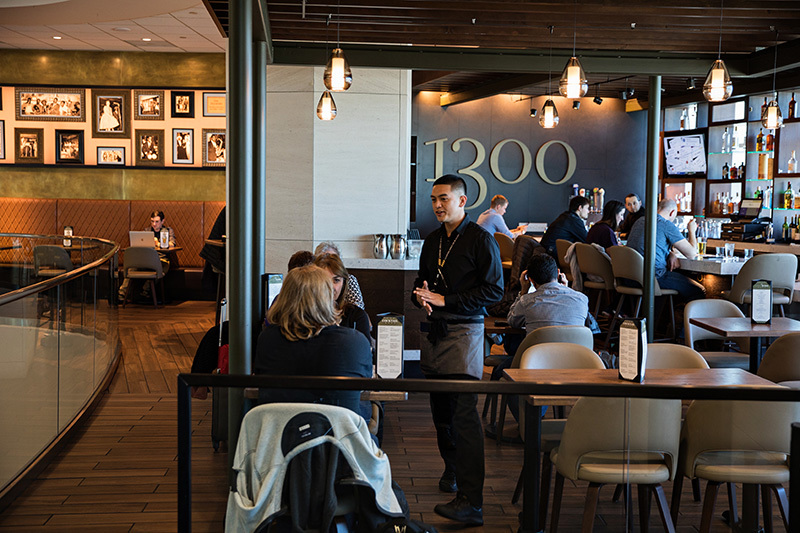 Here, SSP America partnered with wife and husband team, Monetta White and Chef David Lawrence, to bring SFO passengers the elegance of the original street side restaurant. At 1300, travelers dive deep into Chef Lawrence’s innovative spins on Southern favorites such as the Black Skillet Fried Chicken & Rosemary Waffles and Barbeque Shrimp N’ Grits. With each bite, guests are transported back to the glitz and glamour of the Fillmore District’s celebrated jazz era. 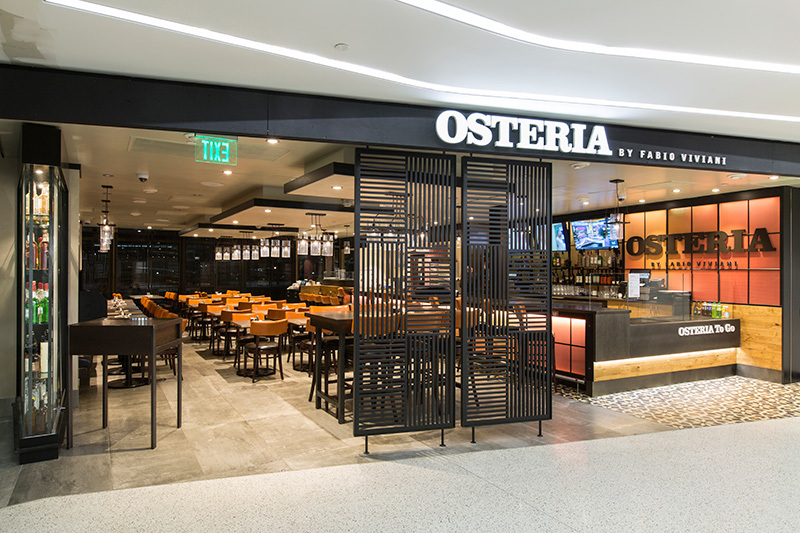 Chef Fabio Viviani’s legendary food takes center stage at LAX’s Osteria. The restaurant is a cinematic space—where beauty and simplicity shine through. It’s also a high production kitchen, where 50,000 pizzas are served up annually in addition to a menu full of modern Italian dishes. Passengers have a front row seat at the kitchen counter to watch their handmade pizzas emerge bubbling hot and the exquisite Italian dishes expertly prepared by the highly trained team of culinary professionals. Showcasing delicacies from across the Northwest region, this unique marketplace restaurant stocks its shelves with regional products and fills the menu with classic deli dishes prepared to the highest standards and oldest traditions. Chef/owner Ken Gordon’s hand-rolled bagels draw passengers throughout every day part, but his famous pastrami takes center-stage—with mustard on rye, or griddled in The Classic Reuben. Throughout the marketplace, locally sourced goods abound. 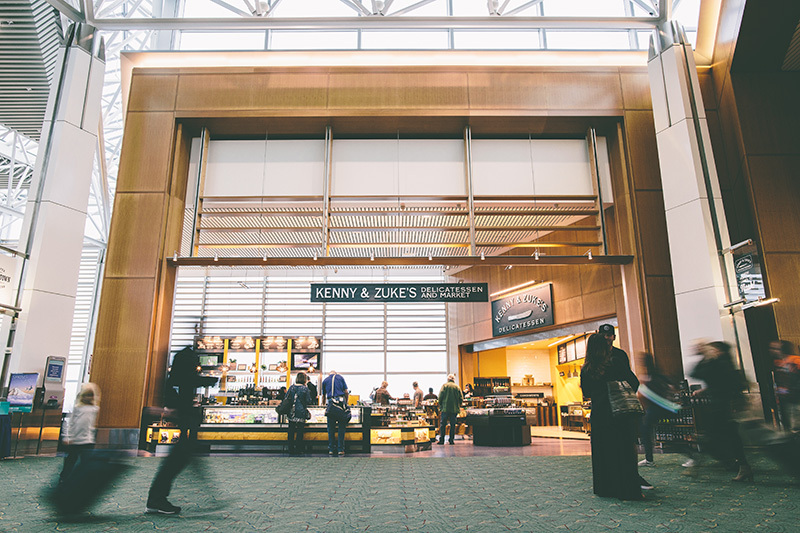 From local chocolate and cheese to locally roasted coffee beans, candies and jam, Kenny & Zuke’s is filled with northwest regional bounty. 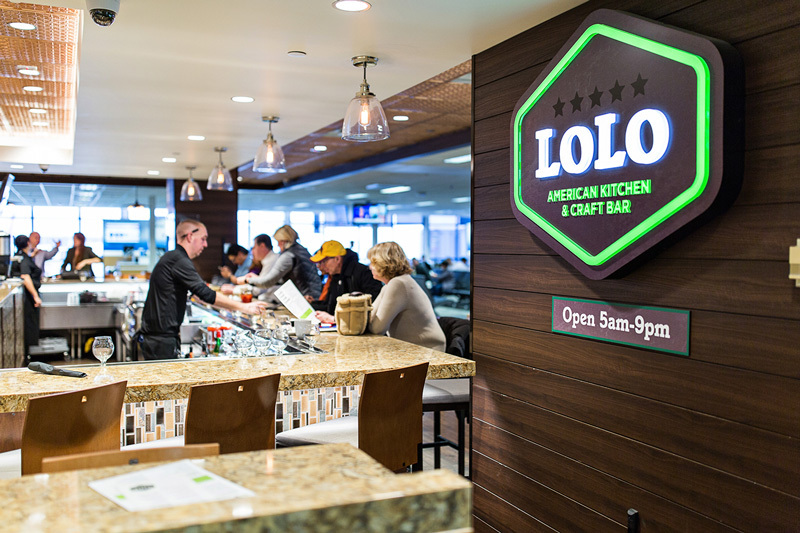 LoLo means “Locally Owned, Locally Operated” and there’s nothing more important to LoLo’s young and passionate restaurateurs than being true to that ethos. For MSP, industry veterans, Brad Nordeen and Joe Ehlenz, partnered with SSP America to recreate the bar scene from their hometown of Stillwater that focuses on craft cocktails and craft beer, and locally sourced, seasonal plates. Recognizing early on that “street food” was enjoying a renaissance across North America, SSP created UrbanCrave, a brand that brought the first “street eats” to the airport arena. UrbanCrave sources authentic local street food options and delivers its menu in a modern, loft-inspired setting. 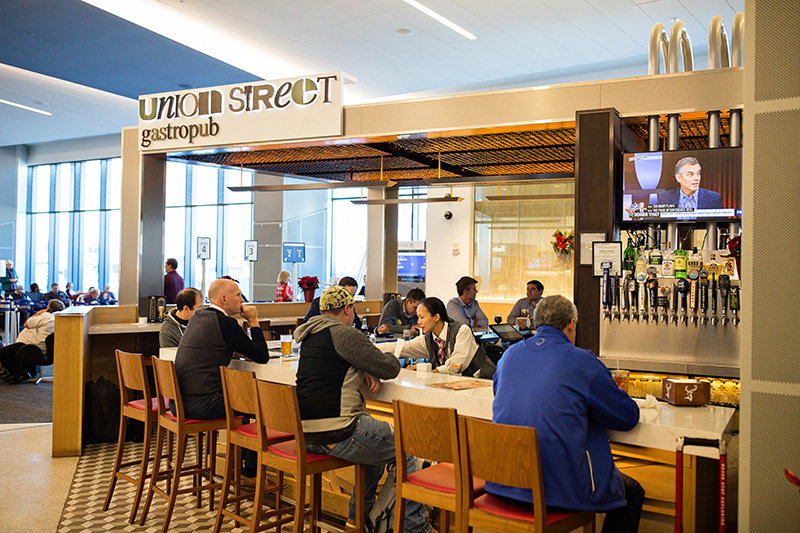 The full-service bar tempts passengers with a range of local beers and cocktails. 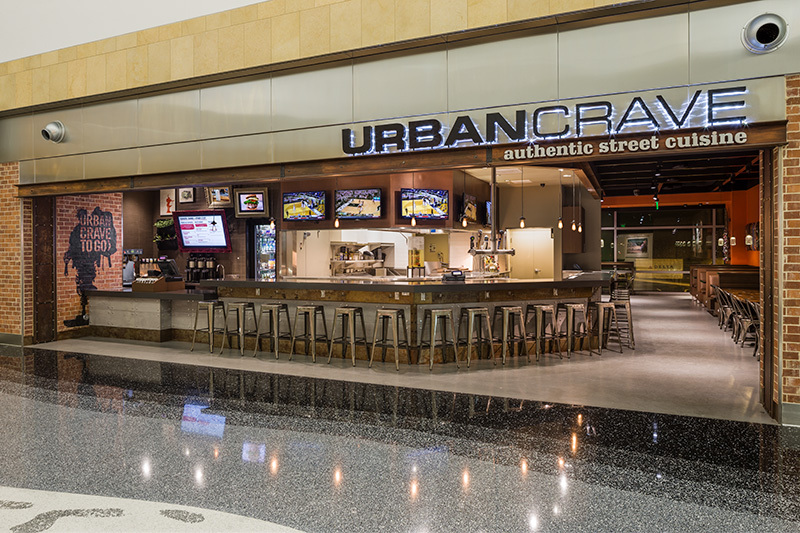 Hot, handcrafted, with bold, exciting flavors and as local as it gets—Urban Crave brings travelers an innovative taste of on-trend local street eats with every bite. UrbanCrave is the winner of ARN’s Best New Food & Beverage Concept. Created by SSP France and first debuted at Metz rail station, Le Grand Comptoir promises today’s travelers a new level of expectation—a beautifully designed travel oasis, where travelers can sit and wind down over a glass of premium wine paired with bistro-inspired plates, including Beef Carpaccio, Croque Monsieur and Center Cut Filet. 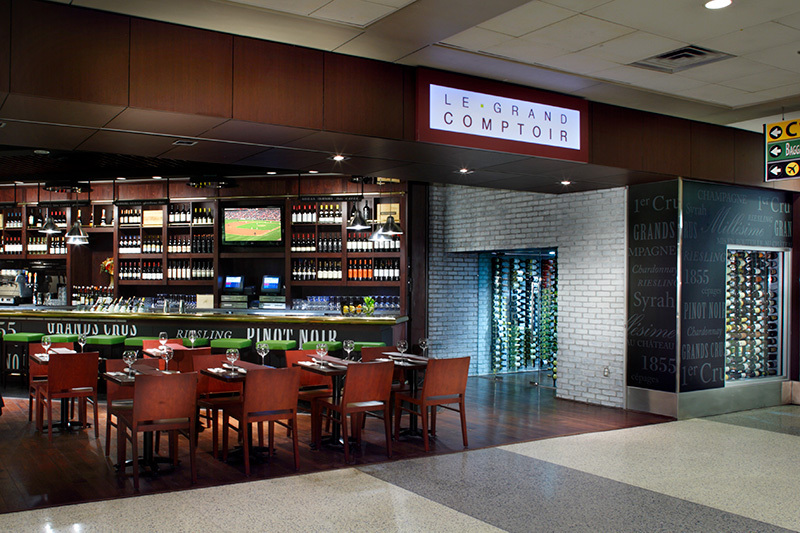 Le Grand Comptoir is a two-time winner of ARN’s prestigious Airport Bar of the Year award and named World’s Best Airport Wine Bar by the Moodie Davitt Report’s FAB Awards. 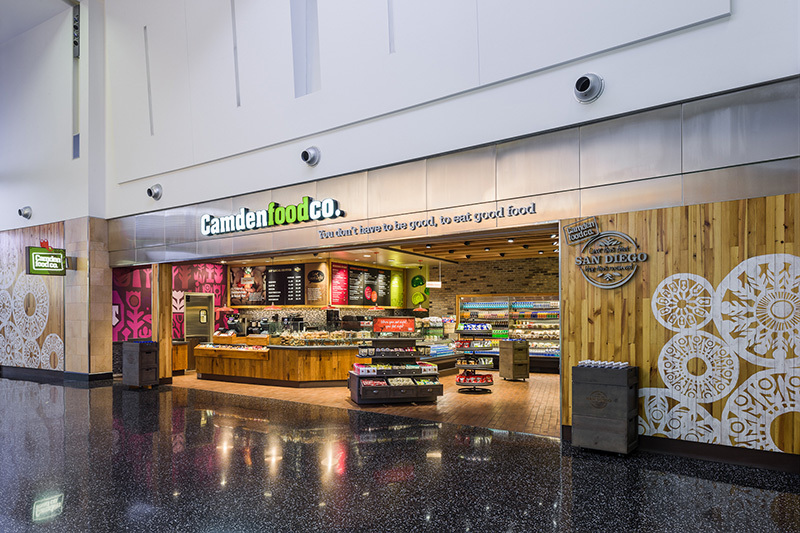 Camden brings a balanced approach to traveler’s dining choices, providing an airside marketplace filled with healthy options alongside indulgent yet affordably priced treats. From locally sourced salads, custom built sandwiches and a wide range of hot and cold drink options, to nutrient-dense snacks and freshly baked treats to grab and go, there’s something for every taste and dietary preference at Camden. 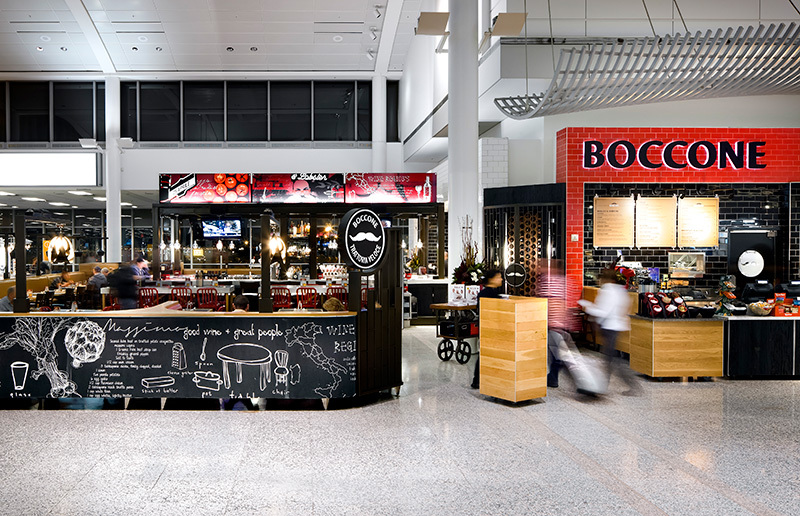 Camden is the winner of ARN’s Best New Food & Beverage Concept and Best Airport Restaurant Design. SSP America’s Union Street Gastropub embraces San Francisco’s role as a world-class city with abundant natural resources. The impressive 60-tap beer roster represents some of the finest beers in the world including a formidable list of Bay Area brews. Passengers enjoy seasonal plates defined by the region. Beef and pork are local, pasture-raised and fed a vegetarian verified non GMO-diet. Fish and shellfish meet the Seafood Watch sustainable criteria and sourced from the Pacific Ocean or Pacific Northwest waters whenever possible. SSP America delivers a collective slice of the Big Apple’s food culture to Terminal 4’s worldly-wise clientele. The space features a market scene of open kitchens, housed in authentic vintage vehicles. 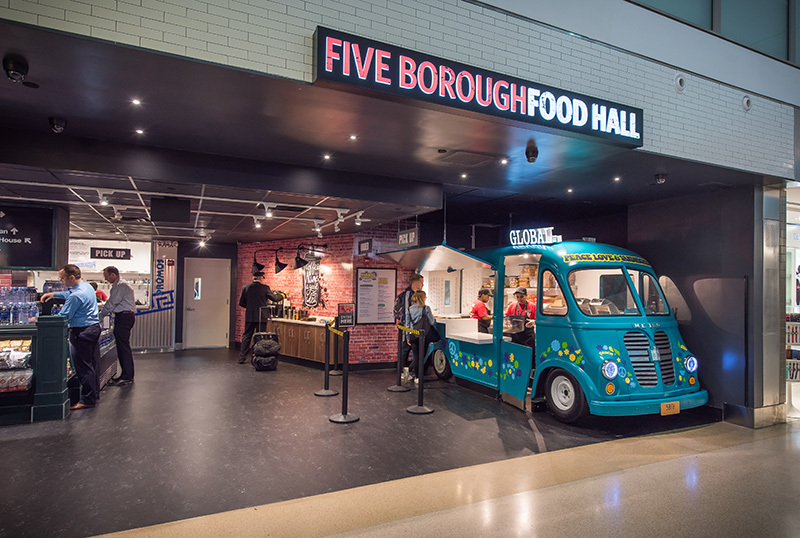 Five Borough Food Hall offers passengers authentic street eats served hot off the griddle. Cart cuisines include Asian, Greek/Middle Eastern and Mexican as well as a fast casual, global sandwich shop. SSP America sourced the vintage vehicles from California, where they were carefully restored and customized for the project. 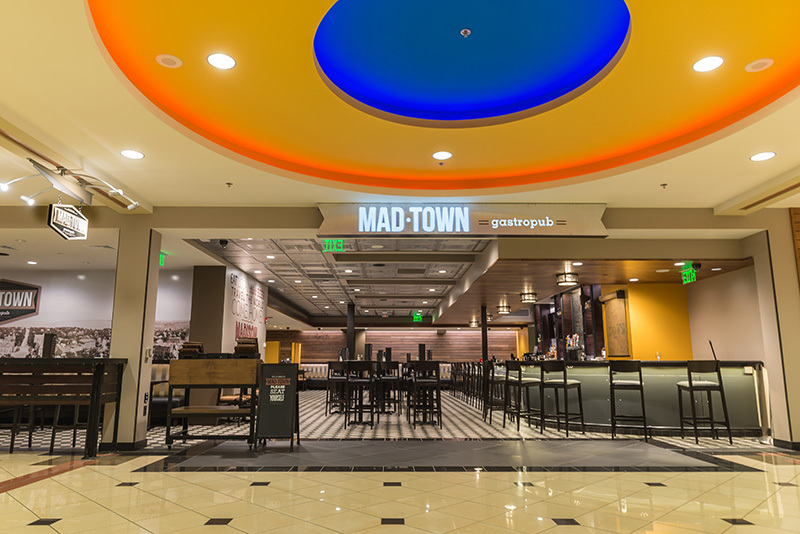 Madtown’s menu is fresh-forward with seasonal dishes created by James Beard award-winning Madison chef Tory Miller. Featured dishes reflect his passion for locally grown, sustainable and organic ingredients. Many of the dishes pay homage to classic favorites. The décor is quintessential Madison with clean lines and a vintage vibe. Founded by Executive Chef Paul Wahlberg and celebrity brothers Mark and Donnie Wahlberg, Wahlburgers offers a fun, casual, music-filled atmosphere where guests, like family, share great food, a few laughs and lots of love. The chef-inspired menu offers delicious fresh ground beef burgers, crispy fries, onion rings, tater tots, signature salads, specialty frappes, beer and cocktails – casual comfort food from Chef Paul’s childhood that is served with that same heartfelt hospitality that he grew up with. 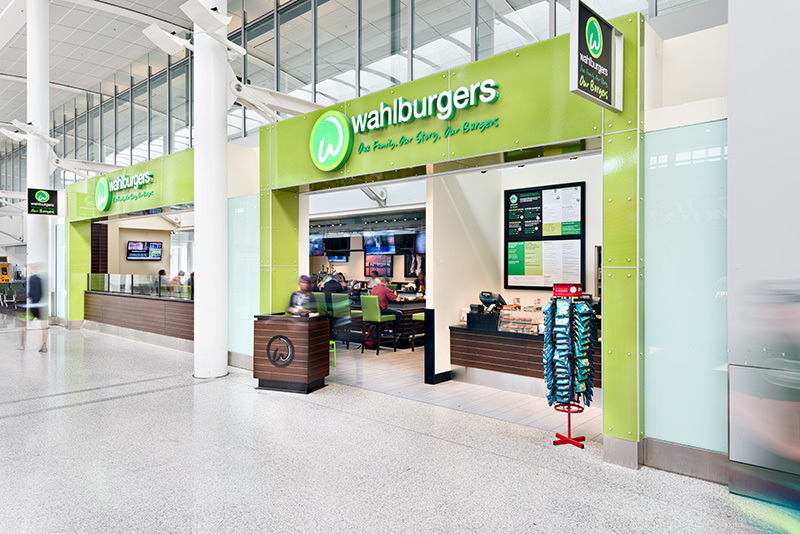 Also the subject of an A&E reality show, Wahlburgers invites their guests to stop in, sit down and make memories at their restaurants accented by signature bright green hues and wall murals of the famous family – a fun, welcome addition to the airside environment. 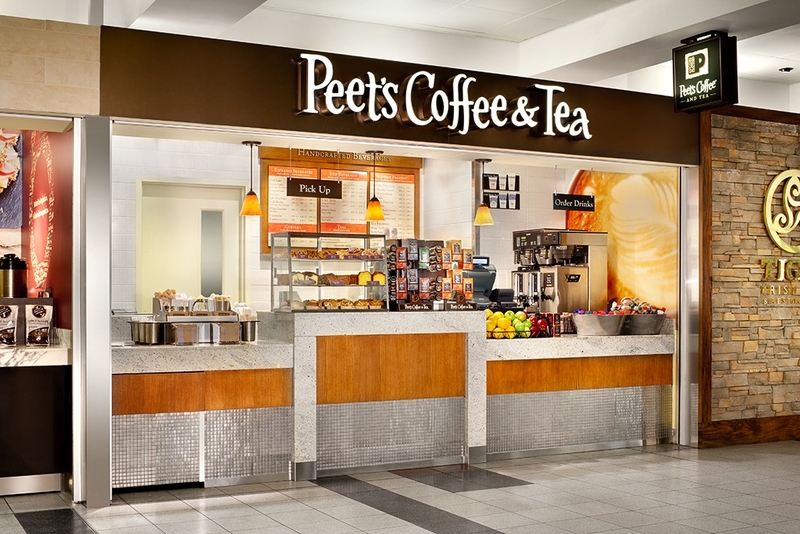 For over fifty years, Peet’s Coffee has stood the test of time, both for the loyalty of its customers and, for the devotion of its proprietors, who continue to abide by the principles of the late Alfred Peet. Alfred, who opened his first shop in Berkeley, California in 1966, started a coffee revolution that positioned Peet’s as The Original Craft Coffee™. Peet’s beans are ethically sourced in small quantities and roasted by hand every week, ensuring that their distinctive flavors are preserved and that guests get the same, consistently flavorful cup of coffee. SSP shares the brand’s dedicated emphasis on authenticity and craftsmanship—guests will immediately taste the difference.